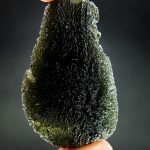 The moldavite comes from deposit Zatáčka (near the village of Dobrkovská Lhotka). 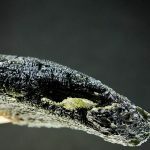 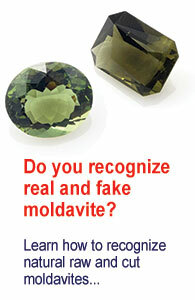 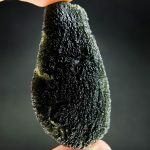 The moldavite is a natural, bent fragment of a bigger piece shaped like a drop (without the upper part). 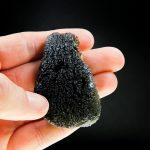 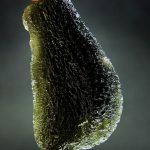 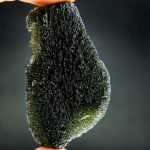 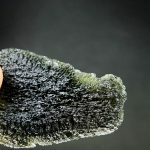 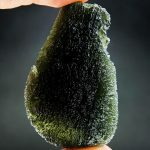 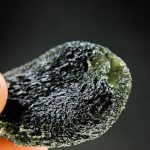 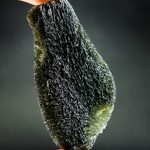 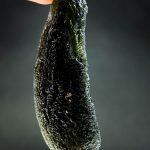 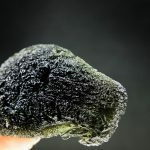 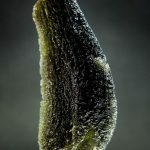 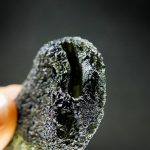 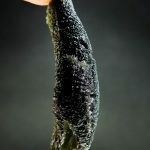 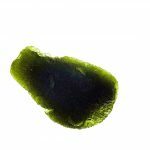 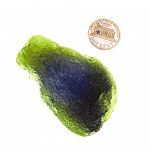 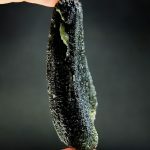 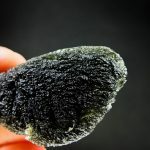 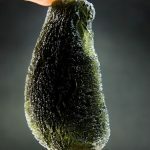 The original moldavite could weigh about 50g (250ct).